Should I use hot or cold? “Should I use heat or ice?” ... One of the most common questions asked to physiotherapists following an injury or during a rehab program. 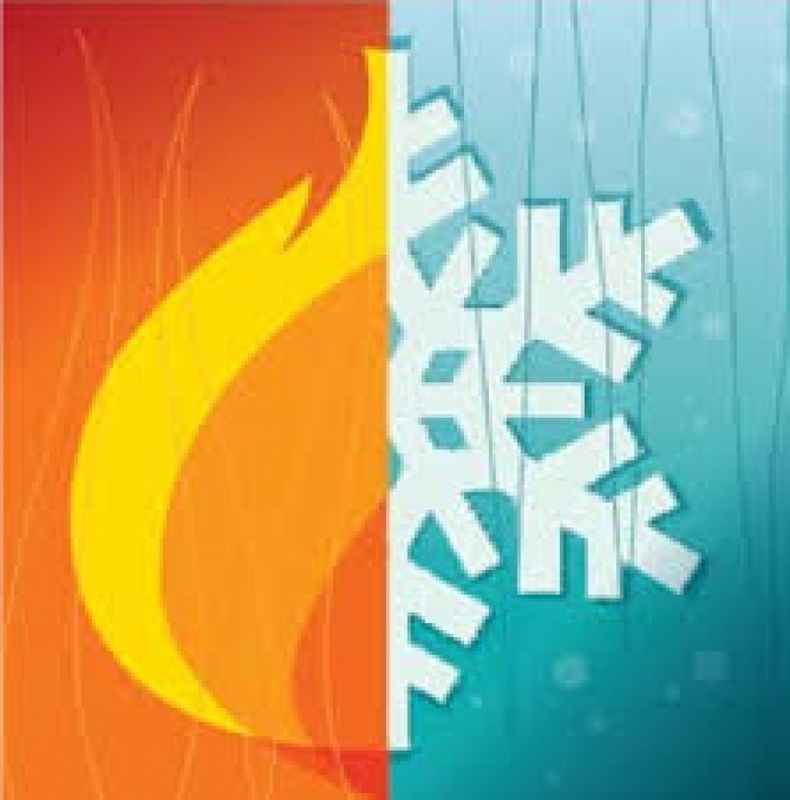 Cold and heat therapy can help to reduce pain, assist with tissue healing, manage swelling, and improve flexibility, however, if used incorrectly they can also aggravate an injury and delay recovery time. Choosing an appropriate therapy to add to your program can be tricky, but here are some helpful hints to determine which one might be best for you. How does cold therapy work and when should I use it? Common cooling agents include cold packs, ice bath, ice massage, ice compresses and cold cloths. When applied to the skin, cooling agents work by narrowing the blood vessels which decreases the blood flow. This can help to reducing swelling to the injured area and keep inflammation down. The surface skin temperature is also lowered which provides an analgesic or numbing effect that can play an important role in pain management. Cold therapy is often applied within the first 24-48 hours during the acute stage of an injury to prevent further tissue damage, but can also be used after the first 48 hours if the inflammation persists. It can also be a great method to reduce pain or swelling, or ease muscle spasms following an exercise program. When using cold after an injury follow the PRICE protocol: Protection, Rest, Ice, Compression, and Elevation. The first step is to select which type of cold therapy is best for you based on availability and skin tolerance. Cold packs, ice massage, even the trusted bag of frozen peas are all great options. Once you’ve selected your cooling agent, the next priority is to protect the skin. It is important to use a towel between the skin and cooling agent to decrease risk of nerve or skin damage which could lead to frostbite. Always make sure to check the areas of the body being treated every 5 minutes. Some redness may be present initially- treatment should be discontinued and talk to your health care provider if these symptoms persist. After the initial application, cold therapy may be used throughout the day every few hours for approximately 10-15 minutes at a time. When should I avoid using cooling agents? How does heat therapy work and when should I use it? There are two main sources of heat therapy: dry or moist heat. Dry heat sources include electric heating pads, hot water bottles, microwaveable bean bags, or gel packs. Moist heat sources are most commonly found with the damp clay packs often used in physiotherapy clinics. Heat therapy works by dilating blood vessels and increase blood flow, which helps deliver nutrients and oxygen to the cells in the area being treated. This helps facilitate the removal of cell waste products and promote healing. Therapeutic heat is often used in the chronic phase of an injury, as it can play a major role in pain management, reduction of muscle spasms, muscle tension, and joint stiffness. It may also be used prior to physiotherapy or exercise to decrease muscle tension and increase flexibility and range of motion. Many different types of heating agents exist, making it a widely available treatment method. No matter the type of heating agent used, protecting the skin is a priority. To ensure skin safety several layers of towelling should be used as a barrier between the skin and the hot pack to help prevent skin irritation or burns. Always remember to follow the manufacturer’s instructions for each heat source applied. Hot packs should be applied for 15 to 20 minutes. Visually check the skin every 5 minutes and discontinue treatment or talk to your health care provider if there are abnormal changes in skin colour or you experience increased discomfort. It is important to avoid lying directly on a heat source, or applying heat right before sleep as it can increase the likelihood of burns from direct or prolonged contact with the heat source. When should I avoid using heat therapy? Both hot and cold therapies have a role to play in speeding your recovery or in helping you reach your rehabilitation and training goals. If you unsure whether to use hot or cold as a treatment option, or about the nature or severity of your injury, talk to your physiotherapist to see what is best for you.